Bedrooms WE ARE CLOSED, SORRY! 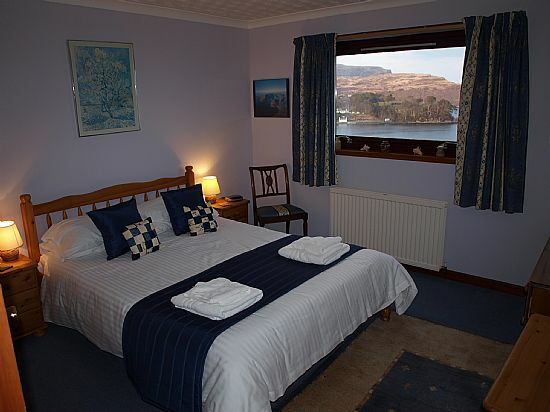 Facing East across Portree Bay with extensive sea/mountain views this beautiful bedroom has a king sized (5ft) double bed, large ensuite shower room with wash hand basin and toilet and temperature controlled shower. 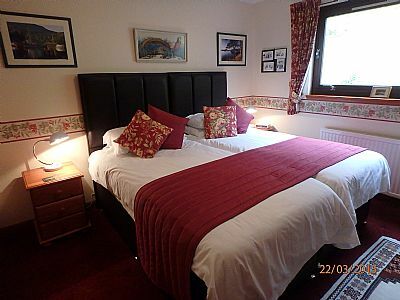 Flat Screen Digital Colour TV and hospitality tray and free WiFi accessibilty are of course within the bedroom. Another view of the large front east- facing bedroom at Heronfield showing its adjoining ensuite. 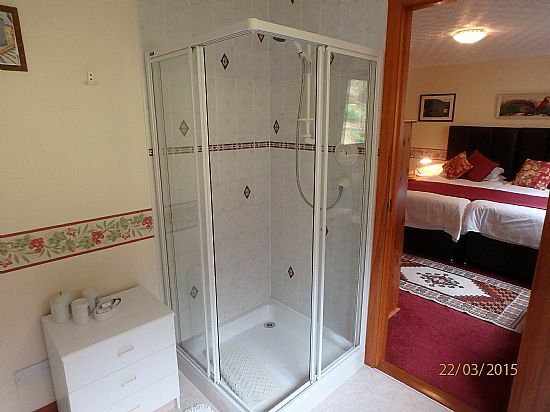 Heronfield's guest bathrooms have their own large opening windows and thus are not in any way claustrophobic; as some "inside" ensuite can often be. 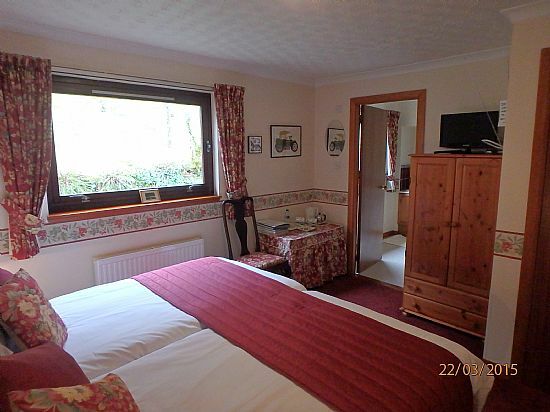 Whatever Skye's weather you will enjoy constantly changing views eastwards from this bedroom's windows of Loch Portree and the mountains and hills beyond. If you are up early enough, and the tidal conditions and light are right, with binoculars - feeding sea birds such as herons and mammals such as otters and seals can be seen at quiet times in the Loch. 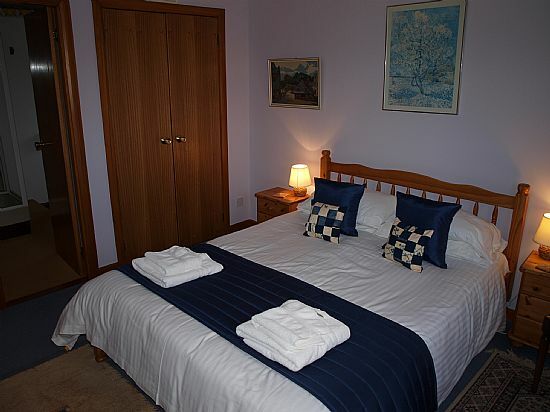 The bedrooms have large ensuite facilities all with their separate outside windows. Deep mattresses on our beds and no vehicle traffic nearby ensures you will have a comfortable night's sleep. 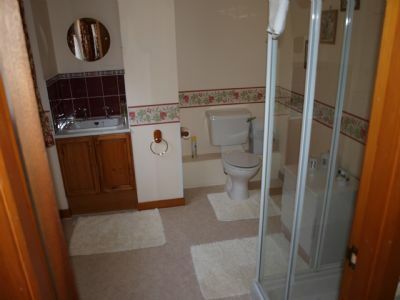 The Garden view bedroom and its ensuite bathroom look out onto Heronfield's hillside garden.